When I first heard about Don’t Blink, the new street magic series on the Pop Network, my interest was piqued. Debuting on Thursday, July 9 at 11 PM Eastern/10 Central on the Pop Network, it appealed to me for three reasons: It’s a “docuseries” that focuses on underground street magic (and I’m always up for some street-level shenanigans! ), it’s a brand-new show on a brand-new network, and it’s produced by Gay Blackstone, a household name in the magic community. I was flattered when Blackstone and the good people at Don’t Blink invited me to do some of my iPad magic on their new show. I had a great time shooting with the stellar Don’t Blink crew on a late spring day in Hollywood. 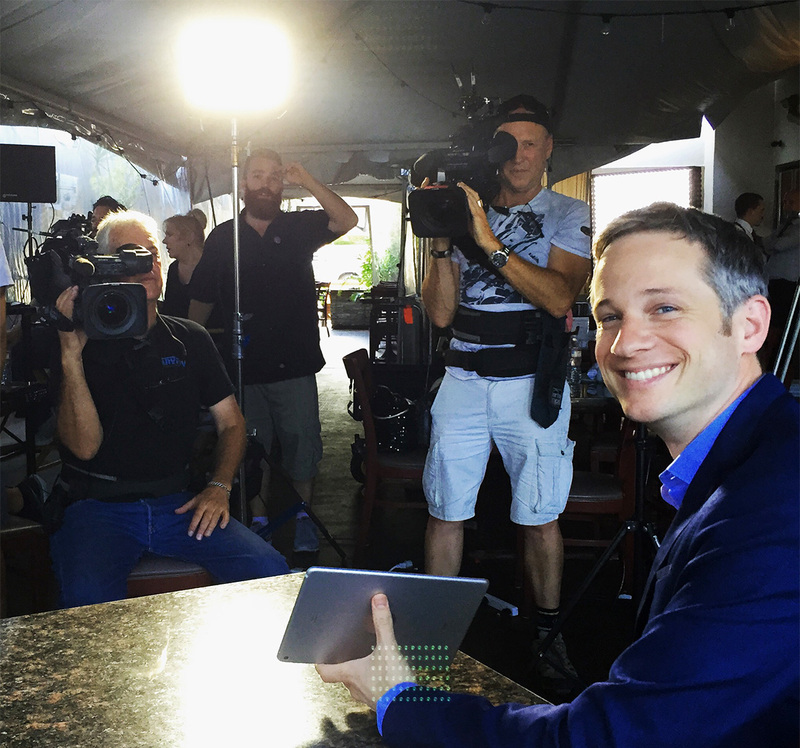 As you’ll see on Episodes 103, 104 and 105 where I’ll appear, they gave me a lot of freedom to do several of my iPad magic tricks, as well as illusions that combine technology, traditional magic and various video screens. 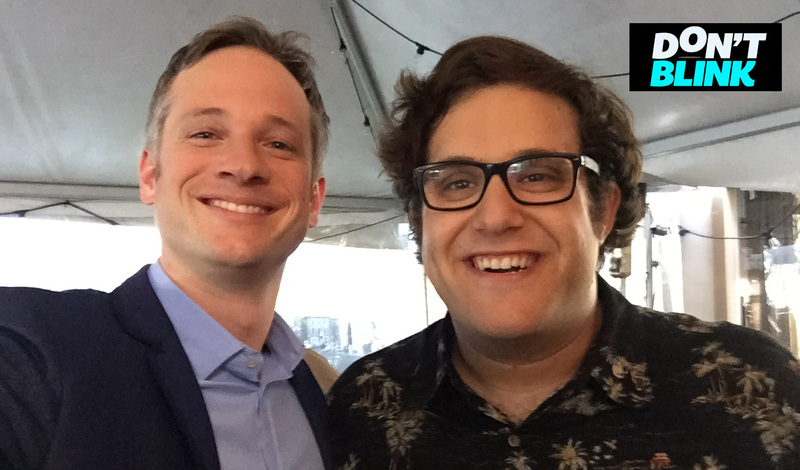 Making it even more fun was when I drove “Scorpion” star Ari Stidham to his wits’ end with some unusual illusions, especially when I used an iPad to restore a Rubik’s Cube in a few seconds. Street Magic: What Is It? I like the idea of street magic. What the heck is street magic, anyway? It was popularized by magician David Blaine in his ’90s TV series, but it’s been a part of magic since the beginning. Street magic is a challenge. A successful street magician can attract a crowd, impressing them enough so they’ll pitch a few coins into a hat. That takes skill and grace, and gives a magician immediate feedback about his audience’s enjoyment. It’s an informal transaction at the most basic level. The Don’t Blink crew was a joy to work with. They were flexible and open to new ideas, and could overcome any obstacle. For example, it was a sunny day when we were shooting several of my street magic tricks, and the sun can be a formidable enemy of a digital magician! Within a few minutes, the crew changed its plan of having me stroll down the street, and shifted to an even better (and shady) location near the Hollywood Walk of Fame — as if it were their plan all along. I like the innovation that’s taking place with this TV program and others like it. Being a newcomer to the United States, I’m delighted to see the resurgence of interest in all kinds of magic, and that’s showing up on well-funded TV series such as Don’t Blink and Penn and Teller: Fool Us. Even traditional talk shows are contributing to the groundswell of interest in magic performance, especially Ellen DeGeneres, who regularly invites magicians like me onto her program. I invite you to take a look at Don’t Blink, premiering July 9 at 11pm/10 Central on the Pop Network. The show presents rising stars who represent the leading edge of magic as it’s performed today. I’m honored to be a part of its great lineup of street magicians and underground performance artists, and I wish the show continued success and thank them for inviting me.